Satellite view is showing Addis Ababa, the national capital of Ethiopia, the landlocked country in East Africa. The city is located almost in the center of the nation in the foothills of Mount Entoto about 2,500 m (8,200 ft) above sea level. 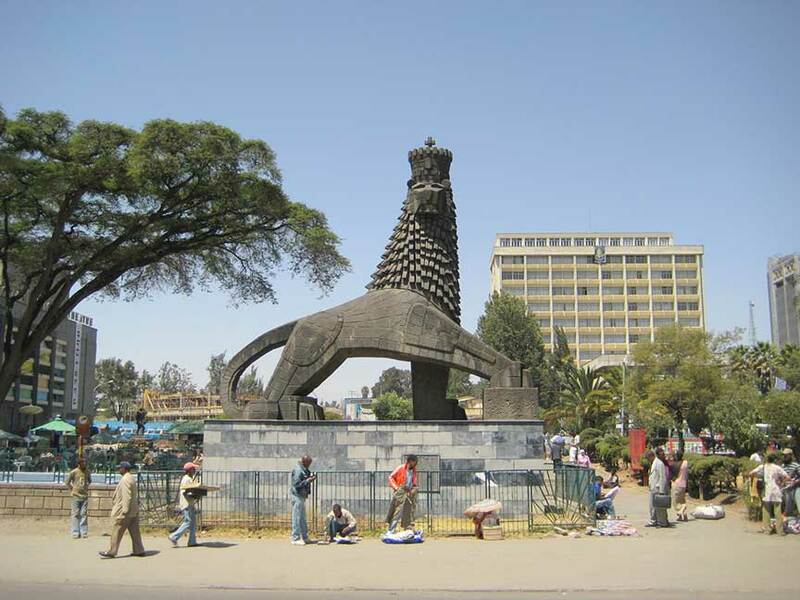 The city was founded in 1886 by Emperor Menelik II of Ethiopia. Addis became the capital of independent Ethiopia on 26 October 1896. Captured by the Italians in 1936, it was the capital of Italian East Africa but was captured during World War II by the British under Sir Alan Cunningham in 1941. 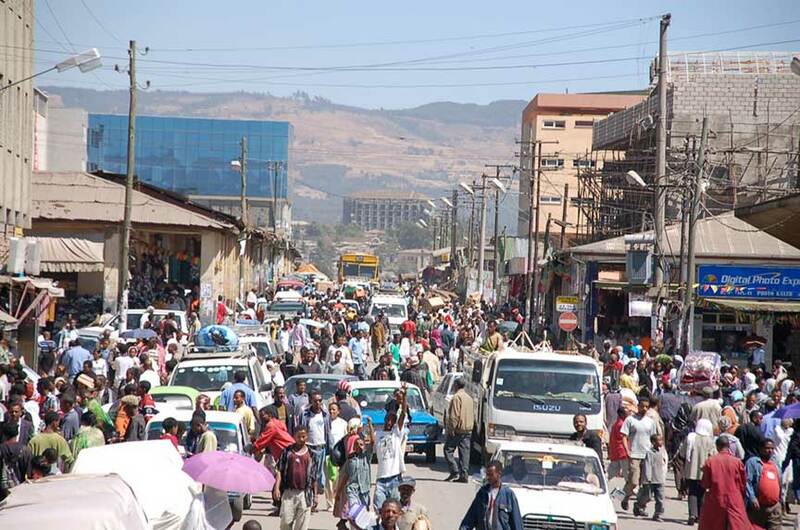 Today Addis Ababa has a population of about 4 million inhabitants. Official language is Amharic. Located in Addis Ababa was the administrative center of the Organization of African Unity, an intergovernmental organization consisting of fifty-three African states (disbanded on 9 July 2002 and replaced by the African Union, which has also one of its two administrative centers in Addis Ababa). The city is home to the Addis Ababa University, the biggest institution of higher learning in Ethiopia with almost 50,000 students. Some attractions in the city are the Meskel Festival, the annual religious holiday (in September) includes the burning of a large bonfire. The Addis Mercato, the large open-air marketplace in the city. The National Museum of Ethiopia with its display of Ethiopian art, and home to the famous Lucy Mummy. The Ethnological Museum within Haile Selassie's former palace offers comprehensive information about Ethiopia's major tribes and their cultures and traditions. Just zoom in (+) to see the Ethiopian National Museum home to Lucy (Australopithecus afarensis), the famous 3.18 million years old skeletal remains of a female hominid, discovered in 1974 in the Awash Valley, Ethiopia. The Map shows a city map of Addis Ababa with expressways, main roads and streets, zoom out to (-) find Addis Ababa Bole International Airport (IATA code: ADD) located in the Bole area, 6.5 km (4 mi) by road (via Ethio China St and Africa Ave/Airport Road), east of the city center. To find a location use the form below. To see just the map click on the "Map" Button. Google Map: Searchable Satellite View of Addis Ababa, capital city of Ethiopia.